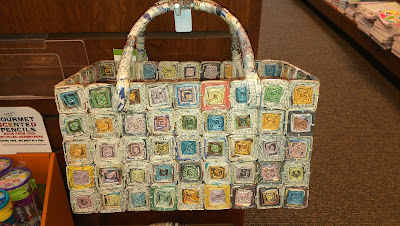 I just love it when I find something new created out of old or repurposed items!! 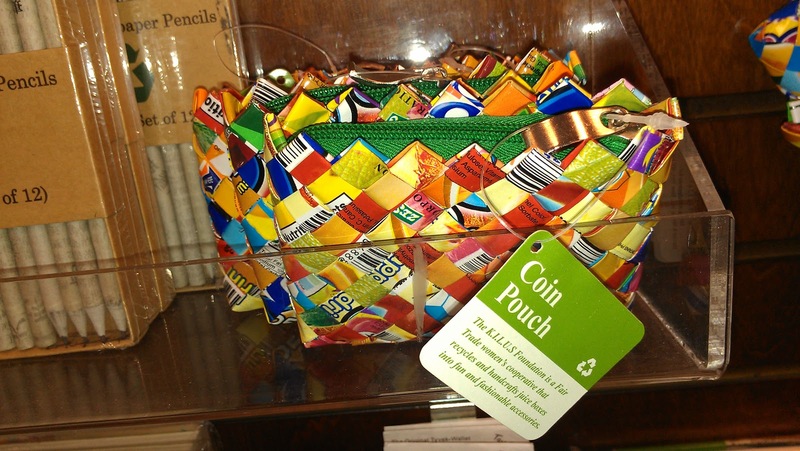 I was shopping at Barnes and Nobles bookstore a few weeks ago and ran into a collection of items made from recycled goods. I love ALL of them! 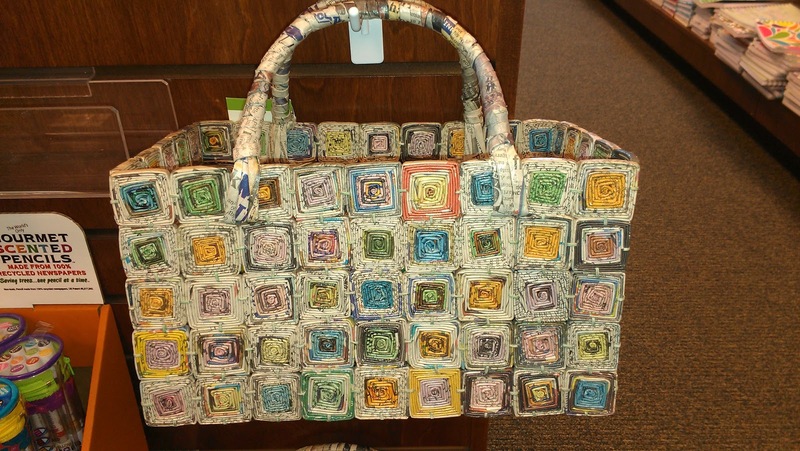 They had baskets/bins made out of recycled newspaper (which was rolled into long thin tubes and then folded into a square/star design) - what an awesome design/look!! (And it looks GREAT on my bookshelf! - yes I had to have one!!). 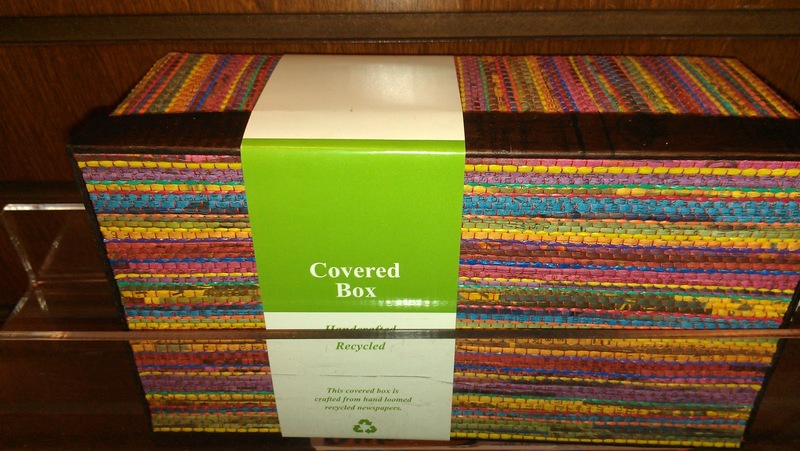 They also had some boxes that the fabric was woven with tubes of newspaper. 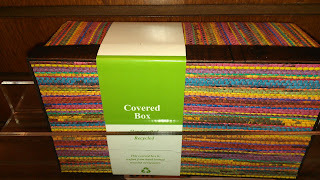 I liked them, but wasn't as enraptured with them as I was with the baskets. I still think they are awesome! 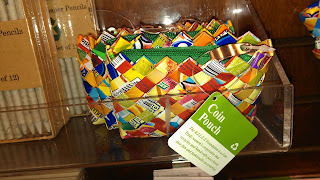 And then they had little coin purses which were created from used food wrappers (I got one of these for my stepmomma who is a fiber-artist and loved it!). What an awesome collection of items!! Keep it up Barnes and Nobles!